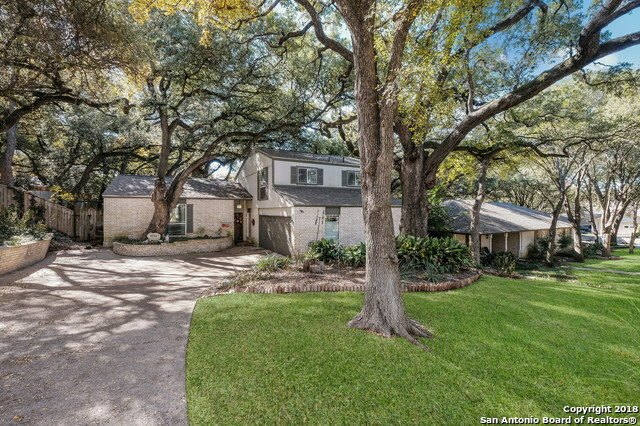 All WHISPERING OAKS homes currently listed for sale in San Antonio as of 04/24/2019 are shown below. You can change the search criteria at any time by pressing the 'Change Search' button below. "Charming 2 story home offers 4 bedrooms & 3 full bathrooms. Inviting mature trees in front & backyard. 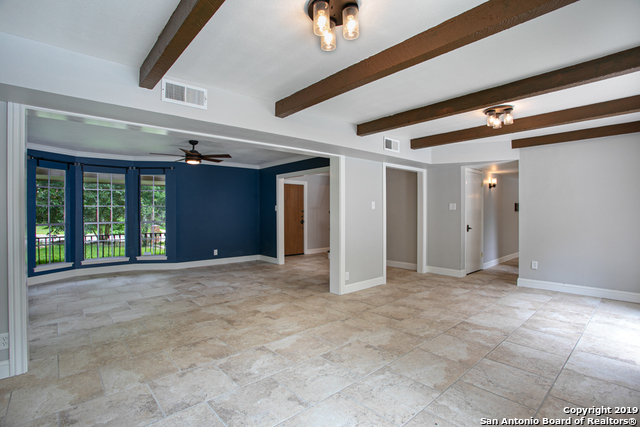 Open concept living room w/ fireplace & beautiful wood beams on ceiling. Large picture windows in living areas perfect for natural light. Spacious dining room w/ bay window. Darling kitchen w/ SS appliances, granite counter tops & ample cabinet/counter space. Master suite w/ wood flooring. Cozy secondary bedrooms. Stunning backyard w/ in-ground pool & gazebo. This home is a must see!" "Buyers financing fell thru: FABULOUS 2500 sqft Doll house in stately Whispering Oaks! Updates thru-out! Family room with wall of windows to enjoy the beautifully landscaped yard. Updated galley kitchen with euro cabinets! Formal dining, Updated master suite with spacious bath ensuite. Den with shelving and see-thru fireplace. 2 queen sized bedrooms up with J/J bath, plus large game room and sitting area. Majestic shade trees with outdoor entertainment spaces! patio, deck and BBQ gazebo. 2 yr o"
"This beautifully renovated townhouse includes gorgeous dark wood floors throughout, a new kitchen with granite counters, and newer stainless appliances. A convenient study with granite and dark wood cabinets is located off the family room. Indoor laundry with sink and folding table. Two living areas. Newer roof and 2015 HVAC system completes this move in ready home. Coveniently located near the medical center, Wurzbach Parkway and Hardberger Park."